Personal Massage . 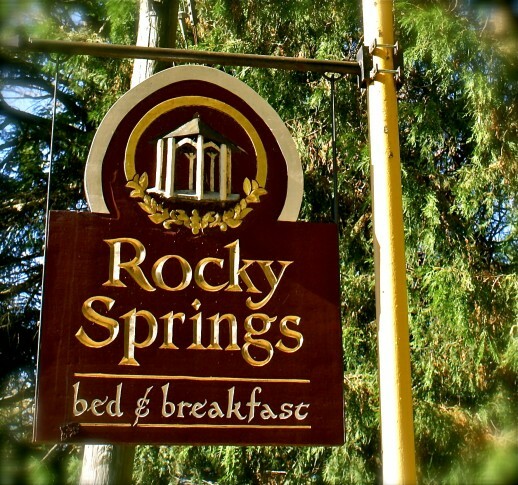 . .
Rocky Springs Bed & Breakfast offers Massage Services available right in your guest room or our therapy room. 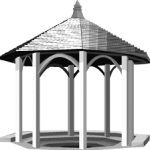 All massages are performed by trained and certified massage therapists from the Lancaster School of Massage. Massage Therapy must be scheduled at least one week prior to your arrival. Cancellations at the time of massage may result in a cancellation fee. Give special attention to releasing those tension-holding areas as you surrender your entire body to be soothed and refreshed. Relaxation for the two of you! Two full body massages side by side for one hour. Waiting in Your Room . . . Please the senses the moment you step into your guest room! 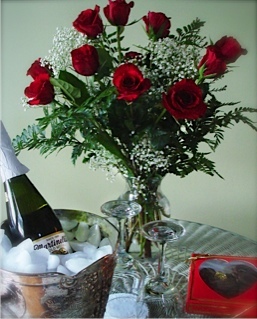 Includes one dozen long stem roses (or a comparable bouquet in the color of your choice) beautifully arranged, a box of locally made chocolates, and sparkling cider. * In order to give us time to process your request, all massages and in-room extras MUST be ordered ahead of time and by PHONE.